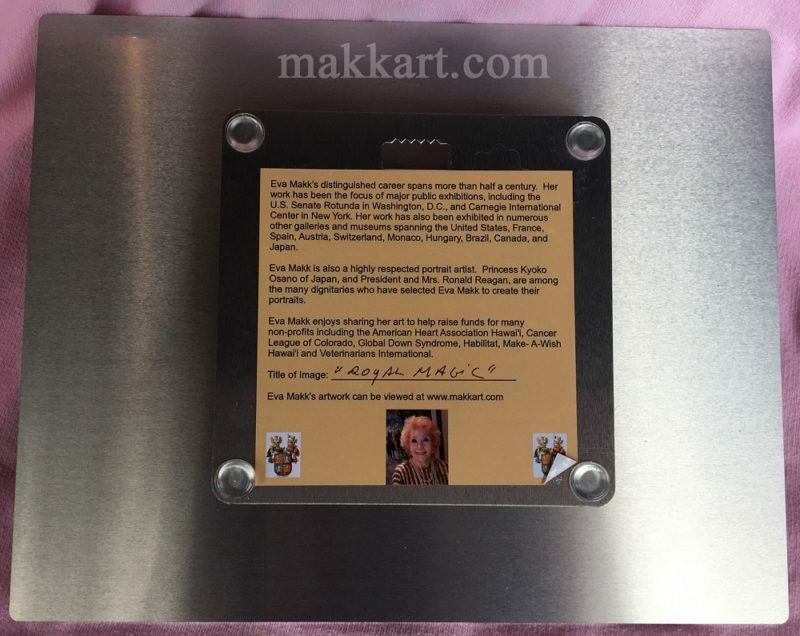 Back view of “Royal Magic” on metal by Eva Makk measures 8″ x 10″. Shows short biography of the artist. Artwork ready to be hung.